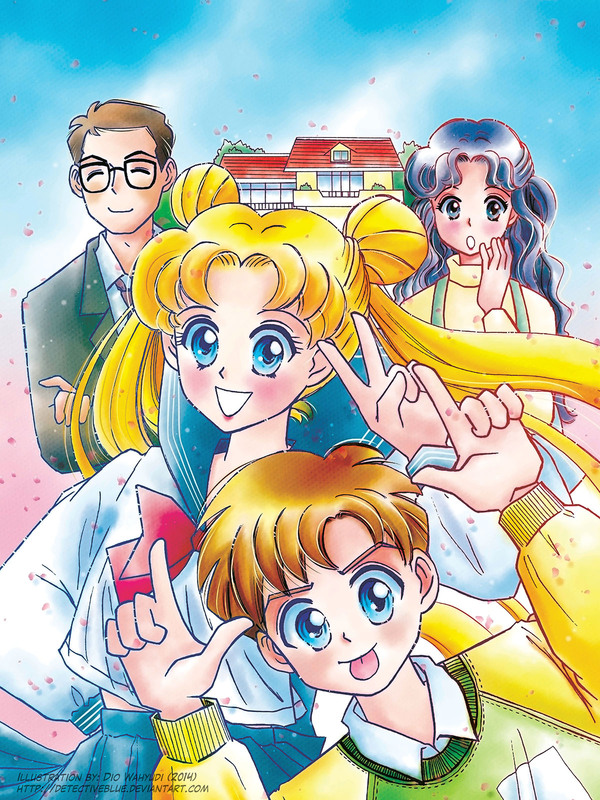 Usagi's family photo, maybe 1 week before Luna came to Usagi's house, haha... I really like their characters, the little bratz brother Shingo (Michigo in Indonesian 90's dub, but they fix the dub last year), the kind goody-goody Kenji Papa, and the Ikuko Mama who was very fussy to Usagi's test score... Too bad they only in the show until season 2, the only family member who has the role until the last season was Mama Ikuko (the day when Chibi-Chibi made an appearance). I made the sketch of this picture in really small A6 size paper, actually just for fun, and ended up I want to colorize it ^^.